High-end apartment prices in Ho Chi Minh City and Hanoi are generally still lower than regional peers such as Kuala Lumpur and Bangkok, despite much stronger growth rates in Ho Chi Minh City when compared with these markets, according to Mr. Neil MacGregor, Managing Director of Savills Vietnam. New high-end apartment prices in Ho Chi Minh City’s CBD now average around $5,500 to $6,500 per sq m, a fraction of the eye-watering levels seen in Hong Kong, where prices are at all-time highs. He added that with a distinct shortage of prime property in Vietnam’s key cities, many buyers see the potential for significant capital gains over the longer term, while in the meantime, rental yields in excess of 5 per cent represent an attractive investment versus falling returns elsewhere in the region. Mr. MacGregor forecast that the average price in the high-end apartment segment is expected to continue to increase, albeit at a somewhat slower pace, with price increases linked to higher development standards and continued strong residential demand driven by urbanization, the rapid growth of the middle class, and new infrastructure. Figures from Savills show that purchases by foreigners have reached unprecedented levels, with the vast majority of high-end projects hitting their 30 per cent foreign quota at launch. 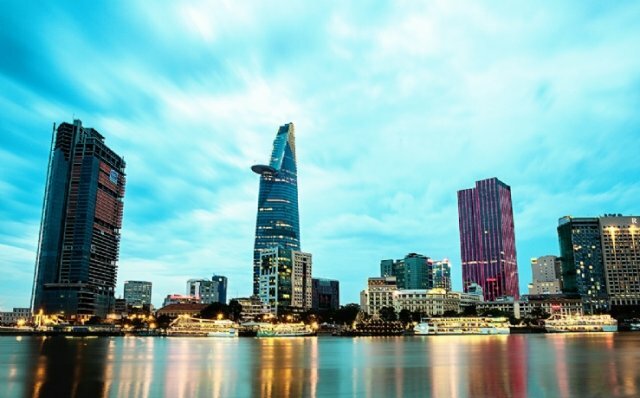 Ho Chi Minh City has seen a number of prime District 1 projects launched, with talk of restrictions on any further residential projects in the city center going forward. At the same time, the much-touted oversupply foreseen by many in late 2017 failed to materialize, as many projects were delayed, leading to feverish sales activity at the launch of those developments that did make it to market.